Sorry for not posting earlier, I had some homework to do. 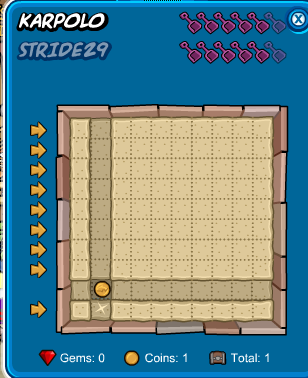 But even with all that homework I had, I don’t care because the new updates to the Migrator rule! So here is all the best news on the migrator you wont find anywhere else…. at least i don’t think anyways. 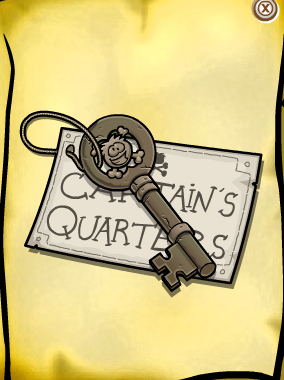 To find the key just go to the book room and go to the last page of Rockhopper’s journal, there you should see a key. (It’s kind of like the friendship bracelet in that one book. And then his quarters will automatically open when you get the key. Here’s a picture of his quarters. 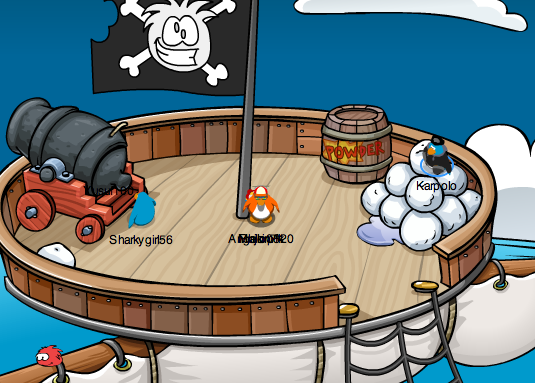 They have a game in Rockhopper’s quarter’s that is like no other multi-player games. In this game penguins work together rather than competing and also we can search for treasure! And they also made it so you can go up in the crow’s nest. All you do is hold your mouse over the ‘up arrow’, then a ladder should come down and you climb up it. You can get a better look at Arr! And also I figured out that it’s not a secret room, but it’s not really something you see right away. Wow, 2 rooms and game all in one day! 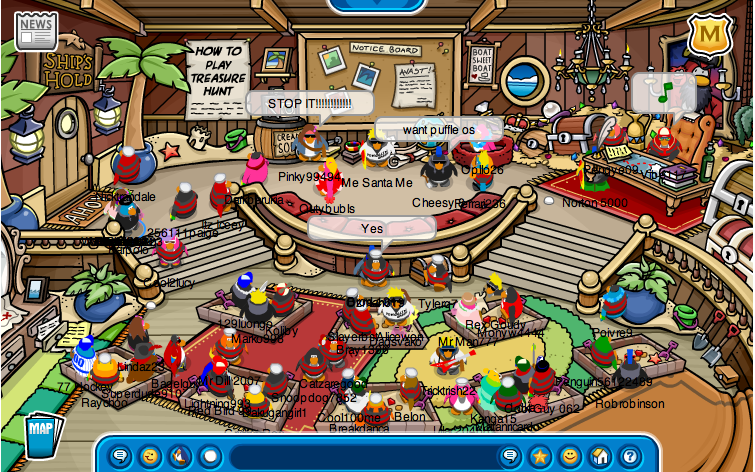 In other news, I made a Club Penguin game tip page, I’ll be adding more to it later on.